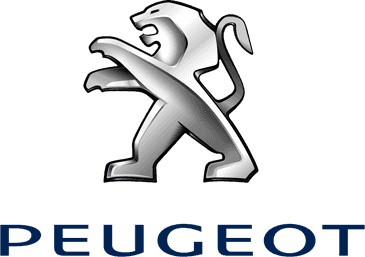 Motorists get more when they choose Peugeot and with the new 108 city car joining the line-up, there's now even greater opportunity to take ownership of a capable and affordable car. The model's compact dimensions make navigating the urban environment a breeze, and with economical, energetic engines under the bonnet, city driving has never been so rewarding. With Charles Hurst in Belfast, you can explore the 108 in detail, and choose a finish to suit your personal tastes when you purchase from us. The head-turning 108 has been designed to leave a big impression wherever it goes, and with fresh, contemporary styling it achieves this brilliantly. Subtle folds streak over the wheel arches and down each flank, complemented by swept-back headlamps that frame a chrome-trimmed front grille. The front bumper holds a wide air intake, and either side rest large inlays which house front fog lights and LED running lights. At the rear, the tailgate is constructed from glass, and here you will also find distinctive, claw-like rear lights. There's plenty of choice when you buy from new, as Peugeot makes available three and five door versions as well as a soft-top convertible to join the hatchback. The French carmaker has paid particular attention to the powertrain options, and the 108 receives its polished PureTech petrol engine for sprightly and satisfying performance. The refined three-cylinder unit delivers the drive of a much larger engine - but with vastly improved CO2 emissions and fuel economy. The 1.2-litre PureTech gives 81bhp, and emits just 99g/km of CO2 with combined economy of up to 65.7mpg. A 1.0-litre petrol opens the engine family, and the 67bhp option is also offered with start/stop technology to bring CO2 emissions down to a superb 88g/km. Technological advancement is one of the city car's many strengths, and standard additions include a premium radio system controlled by steering wheel-mounted buttons, plus AUX input and USB connectivity. Higher spec models add a Bluetooth® hands-free interface, Peugeot Open&Go System for keyless entry and dual-zone climate control. The innovation also extends to the vehicle's safety capabilities, and technology in this area includes Electronic Stability Programme (ESP) with hill holder, Anti-lock Braking System (ABS) with Electronic Brake Force Distribution (EBD) and ISOFIX child seat mounts.